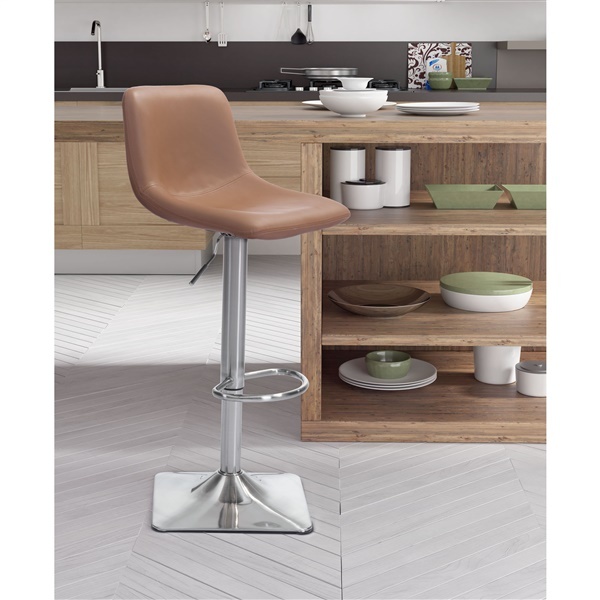 Give your kitchen or bar area a classic look and feel with the Cougar Bar Chair from Zuo Modern. This traditional bar chair offers exceptional comfort, as it features a cushioned back and seat. Plus, the bar chair's deluxe footrest and sturdy base make it easy for anyone to relax in this seat for an extended period of time. Treat yourself to a bar chair that you can enjoy for years -- the Cougar Bar Chair. Delivers a classic look and feel in any kitchen or bar area. Deluxe foot rest and cushioned back and seat make it easy to sit comfortably for hours. Strong, versatile base provides consistent support. Exceptional construction ensures the bar chair is built to last.